Jordan’s cinema has always been one of the most secluded in the Middle East, but in recent years, this fact is tending to change. A new generation of emerging filmmakers is gaining the necessary international recognition. Naji Abu Nowar belongs to that generation. His directorial debut was in 2009 with the short documentary Death of a Boxer and five years later he presents his first feature film Theeb (ذيب). Naji Abu Nowar was awarded with the Orizzonti Award for Best Director at the 71st Venice Film Festival. The story is set in 1916 in Arabia, just before the Arab Revolt. Theeb (Jacid Eid) is a Bedouin young boy that lives with his tribe in the desert. His brother Hussein (Hussein Salameh) has always been his best friend and his only companion. One day they welcome an unexpected visitor, an Englishman soldier (Jack Fox) who wants to go to a secret water-well in order to trace the route for a railway. Hussein is the only one that can guide him and Theeb will follow them to that life changing and tragic journey. The historical content undoubtedly dominates the narration. Like Theeb himself, the whole Arabian Desert is going through a transitional period comparable with adulthood. Everything is on the borderline since the arrival of the iron donkey (railway), right before WWI and the upcoming breakup of the Ottoman Empire. Arab revolutionaries, Bedouin raiders and Ottoman mercenaries have to share the same land and they all want to get a piece of it. 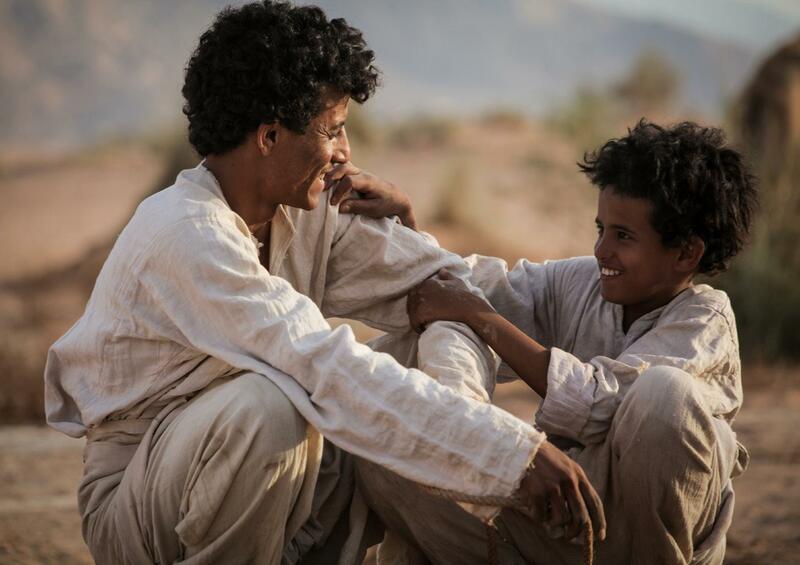 Theeb is a coming-of-age drama and the whole film is building around the character of this young Bedouin. His name means “Wolf” and due to that symbolism of the animal, Theeb has to undertake all the important changes of his life by himself. He should respect his family’s heritage and limitations while at the same time evolving his own personality. He also should find ways to survive and adapt to difficult situations and through that process, he will abruptly reach adulthood since he is still just a child. Jacid Eid works exceptionally on this part as his physique and his performance are dominating the whole film. Considering he is a non-professional actor the result becomes unique. Nowar divides his film in two major different parts. 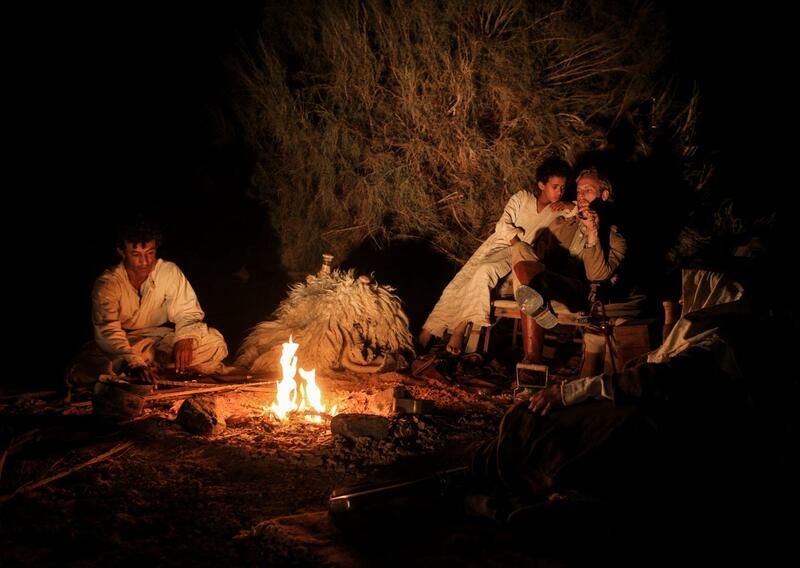 At the beginning, the focus is more on the ethnological approach on the Bedouin’s life and customs, especially the relationship amongst the brothers. This naturalistic and persuasive treatment helps the viewer to understand the historical concept behind the story. The trip through the desert also gives the right tone for an adventure and the whole action offers the film a gripping sensation, particularly when it turns into a peculiar desert spaghetti western. After that thrilling tension, the director tames down the initial anxiousness and transforms it into an internal survival and slow burning fear. The narration follows a more moderate pace that becomes somehow more predictable as the story unfolds. These sudden emotional changes might give a feeling of unbalance to the final perception. By using only locations of Jordanian desert, Nowar created a visually realistic and impressive film. The image is so pristine and lifelike that the viewer can easily sense the sand and the flies floating around him. This result is coming by Wolfgang Thaler, Ulrich Seidl’s Director of Photography, who enriched the aesthetics of the film with a documentary fell. Theeb is a brave debut feature especially because Nowar decides to give a multilayer perspective to his story. Despite some minor weaknesses, he succeeds to deliver a motivating, and above all, eye-catching film that will affect the viewer’s emotions and will gain his attention. Philippe Grandrieux offers a multilayered dream-like filmic experience through the most radical experimental film of the recent years.